For Fiesta Friday, I thought a pretty and colorful fruit salad would be a wonderful addition to today’s party! 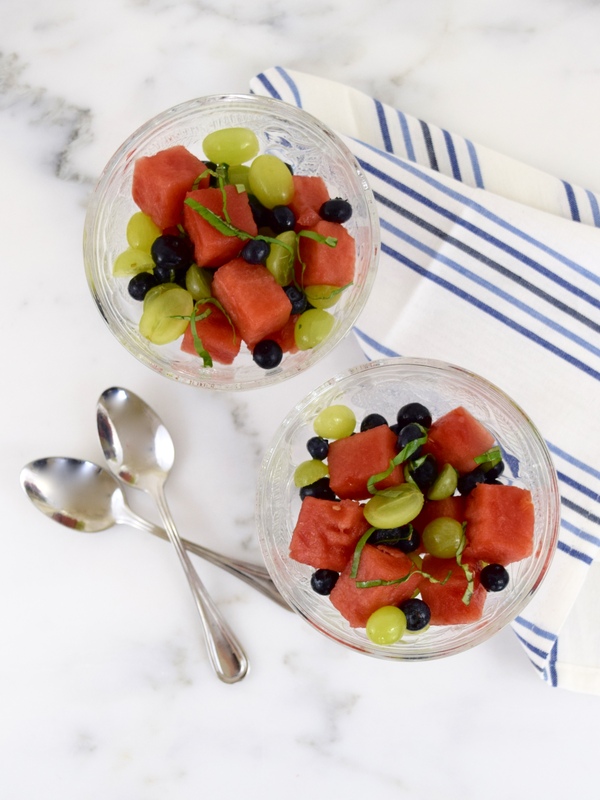 This dish is made with mouth-watering watermelon, juicy green grapes and antioxidant-rich blueberries with the unexpected taste of sweet basil. It is dressed with a simple vinaigrette made with red wine vinegar and honey. 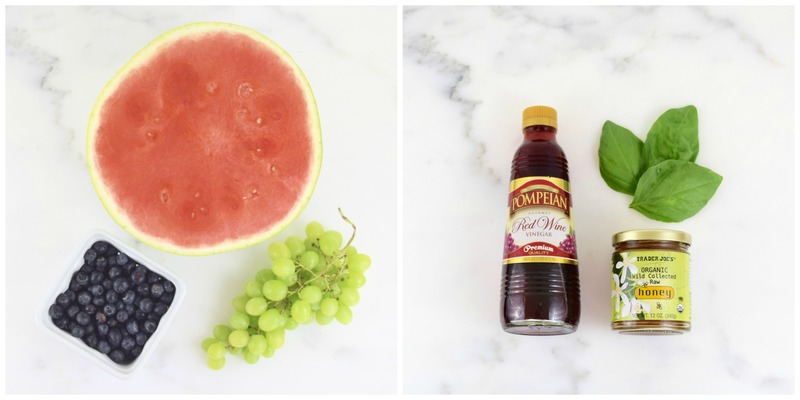 This healthy and refreshing recipe was found on bhg.com. I hope you will give this delicious salad a try! Using a small bowl, whisk together the vinegar and honey. 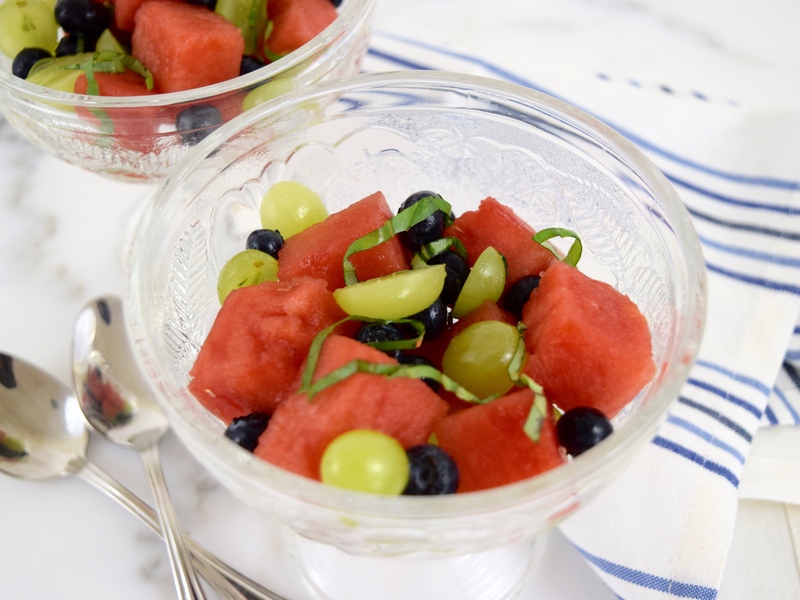 In a large bowl, gently combine the watermelon, grapes and blueberries. Add the dressing and stir carefully. Top with the basil. Can be refrigerated for up to 8 hours. Makes 8 (1 cup) servings. Thank you so much, Petra. Yes, please do! Thanks for commenting. Sounds simple but tasty – always a winning combination! Thank you for taking the time to comment. I hope that someday you will try it!